It was time to head to the capital again. 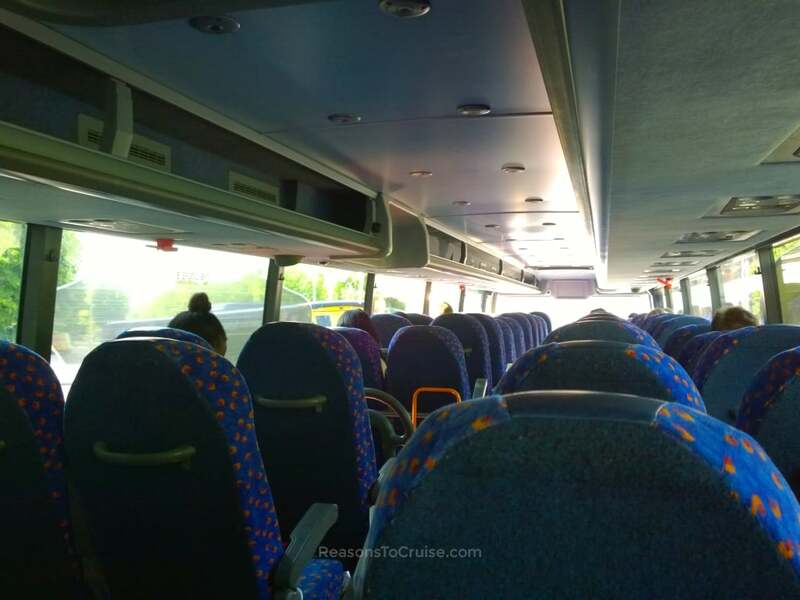 I needed to travel from Cardiff to central London ahead of my trip to see MSC Meraviglia. I did the usual price checks at National Rail and National Express. I even found a good deal with Flybe from Cardiff Airport to London City Airport, although that become considerably less competitive once I took the return journey off. I thought I was out of options but then remembered Megabus. You know the ones. Those giant blue coaches that run up and down the motorways. The ones with the giant mascot on the back that uncannily resembles comedian Dara O'Briain. The ones with the claim of starting fares as low as £1 with a 50 pence booking fee. Ten minutes later I had booked the 150-mile journey for the princely sum of just £1.50. How a penny a mile makes any business sense escapes me, especially as it cost me more than twice as much to get the train to the pick-up point. But it must work. I eagerly arrived at the stop just moments before the busy hour-earlier service left on its way to London. Megabus' new airport service to London Gatwick and London Heathrow that left soon after was equally popular, as was my 5.20 pm service was just as full. Single-deckers operates on the airport routes while double-deckers traverse the M4 in and out of London. Inside, the coach features standard Stagecoach upholstery on its reclining seats, with a reasonable amount of leg room too. Bulky luggage heads into the lockers at the rear of the coach while smaller items slip into the overhead luggage bins. Reading lights and air vents sit above each seat, which at the end of a hot day were necessary. Bin bags lined every row to keep the mess to a minimum. A plug socket means it is possible to charge devices on the go, and free WiFi is also available, although this was painfully slow. I could not connect on my first attempt and found patchy service when I tried later on. Timing was flawless. The coach left on time, and despite travelling at rush hour and making an unscheduled stop at Leigh Delamere Motorway Services as a passenger had boarded the wrong bus, it arrived at Victoria Coach Station half an hour ahead of the expected three hours and 50-minute journey. The £1.50 fare (technically a £1 fare plus a 50 pence booking fee). It is a no-frills service that represents incredible value for money. Arriving in central London 30 minutes ahead of schedule is a bonus. The service was busy, but I still had a free seat next to me, meaning I could spread out a bit. The seats are not as comfortable as on National Express which opts for faux leather for its upholstery. The free WiFi Internet is slow, and service is patchy. Book as early as you can to get the best rates. Bargain rates like mine are available if you book ahead of time, especially for early morning and late evening services. Make sure you are at the bus stop on time. 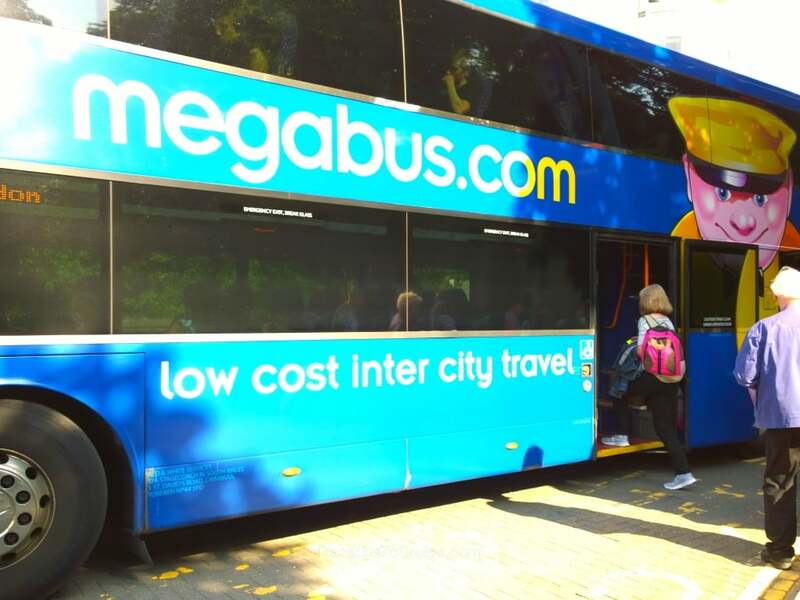 Megabus services are prompt and leave on time. Take a book or a gadget to keep you busy on board the coach and be mindful that the WiFi strength and reliability is not consistent. Perhaps download some content ahead of time to watch offline on the bus. Take a snack with you and a bottle of water. Motorway journeys can feel long. Would you consider taking a coach to save money or do the journey times put you off? Leave a comment below. Disclosure: I paid in full (a while £1.50) for a single Megabus ticket. My opinions are my own. 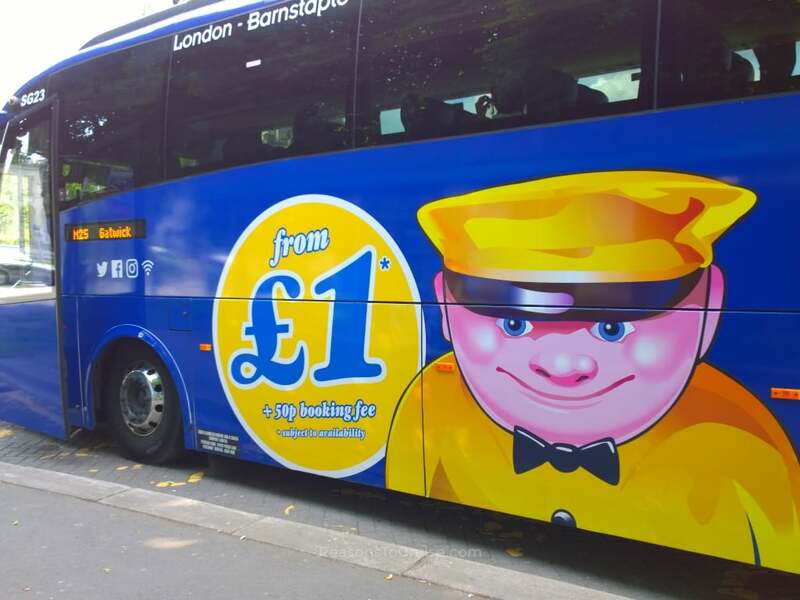 Cheap and no-frills is the order of the day with Megabus, and £1.50 for a 150-mile journey cannot be beaten. My coach was comfortable enough, and the driver managed to shave 30 minutes off the journey time.